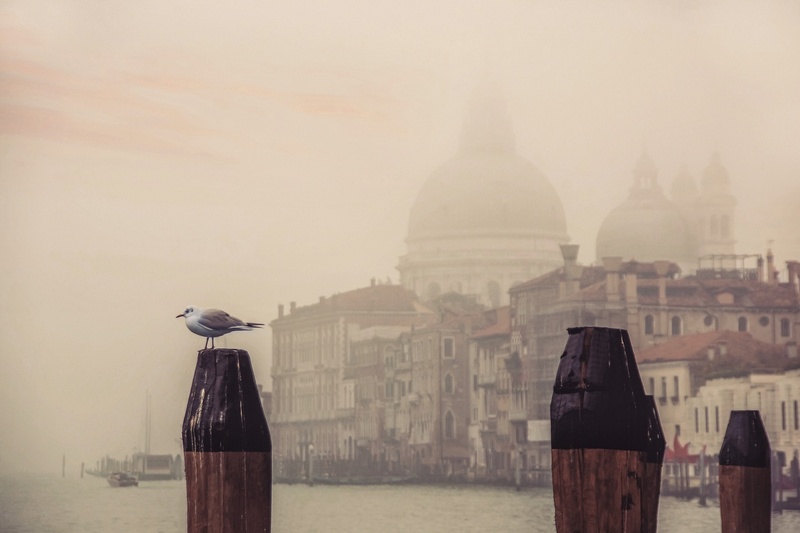 The cute little seagull and the misty Winter morning at the Grand Canal of Venice, Italy. London, England.. Thames River view under a bridge through my taxi's window. September 4, 2018 at 13:57	 Roi.C.